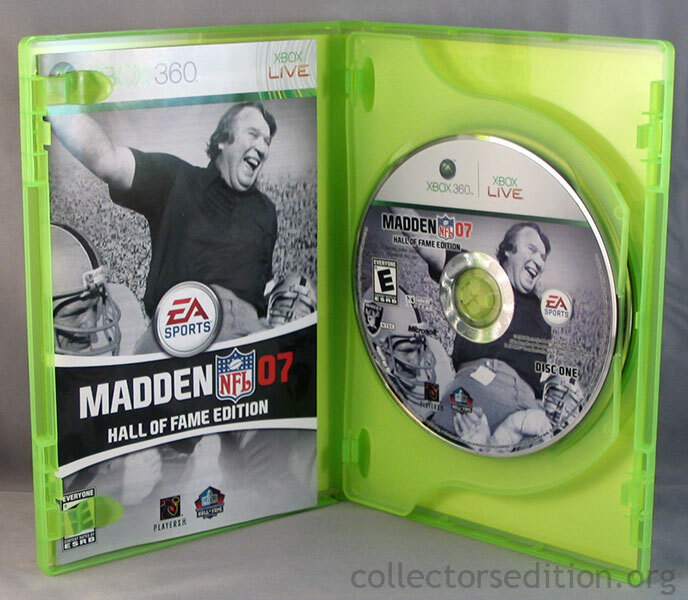 The Hall of Fame Edition of EA Sports’ Madden NFL 07 comes packaged in a 2-disc keep case with a metallic cardboard slip cover. 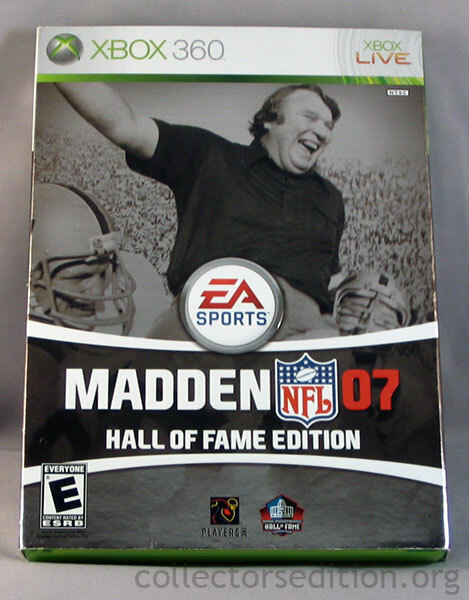 The Road to Canton – From his days coaching the Oakland Raiders to his time as the greatest color analyst in sports, experience a career retrospective with Hall of Famer: John Madden. 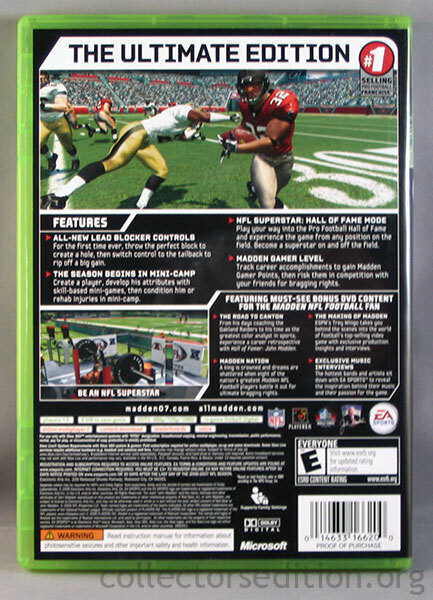 Madden Nation – A king is crowned and dreams are shattered when eight of the nation’s greatest Madden NFL Football players battle it out for ultimate bragging rights. 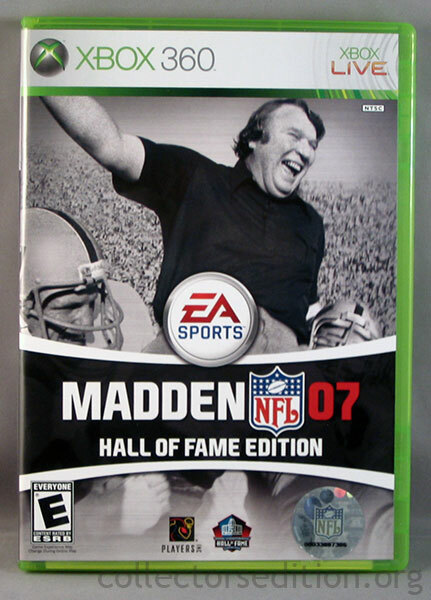 The Making of Madden – ESPN’s Trey Wingo takes you behind the scenes into the world of football’s top-selling video game with exclusive production insights and interviews. Exclusive Music Interviews – The hottest bands and artists sit down with EA SPORTS to reveal the inspiration behind their music and their passion for the game. 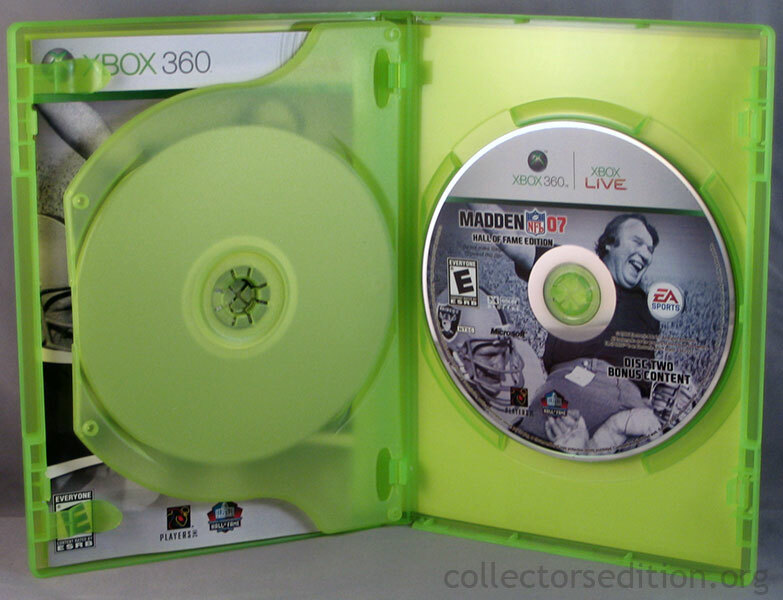 This entry was added to the database on Wednesday, February 27th, 2008 at 10:41 am by Michael Pica. 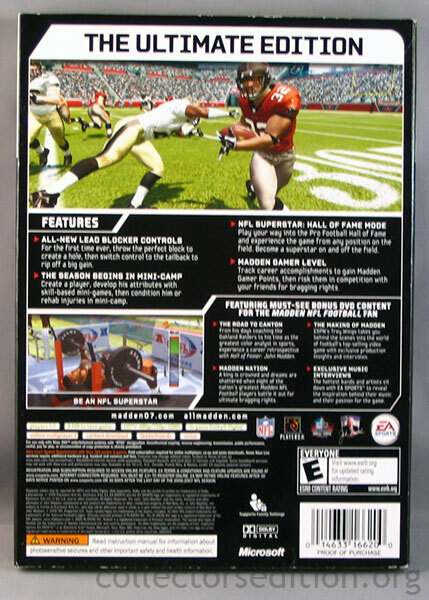 This information was last updated on Thursday, March 19th, 2009 at 11:51 am by .